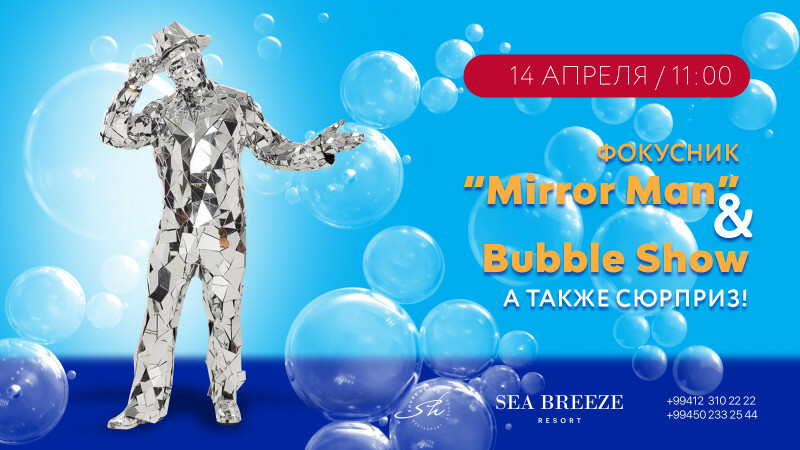 Kids Brunch: Mirror Man in Sea Breeze Resort buy tickets online. Delivery of tickets for the event Kids Brunch: Mirror Man. Dear kids! This Sunday, Mirror Man will entertain you with incredible tricks! You will also dive into rainbow world of soap bubbles, take part in a dance show and besides that, no one will leave the party without a little surprise! We are waiting for you and your parents, who enter free, and the cost of a ticket for kid is 20 azn!